What is it with comedians writing children’s books just now? From David Walliams to Danny Wallace and David Baddiel, we’re being blessed with tons of funny fiction! Now long-time comic star Adrian Edmondson is getting in on the action with this super-silly novel. (Trust us, this is one very funny guy. I mean, he starred in a TV show called Bottom.) Tilly’s dad has built a time machine in the garden shed. There’s only one place Tilly wants to go: back to her sixth birthday party, when she ate too many cupcakes and her mum was still here. But something goes wrong! 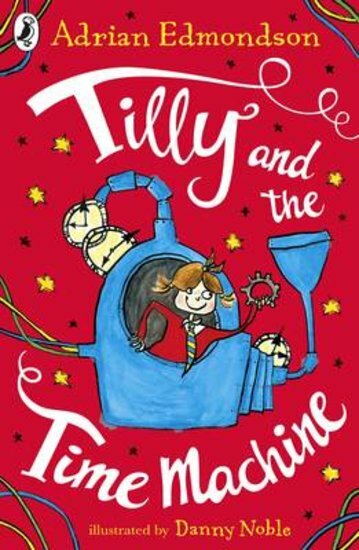 Now Tilly’s dad is stuck in the past, and only she can save him. Will they make it back in time for tea?